35" Square Umbrella Dining Table with Cast Aluminum Frame by Tropitone - 33 lbs. The 35" Square Umbrella Dining Table with Cast Aluminum Frame by Tropitone is perfect for those wanting to give their resort, HOA community or hotel a modern upgrade. 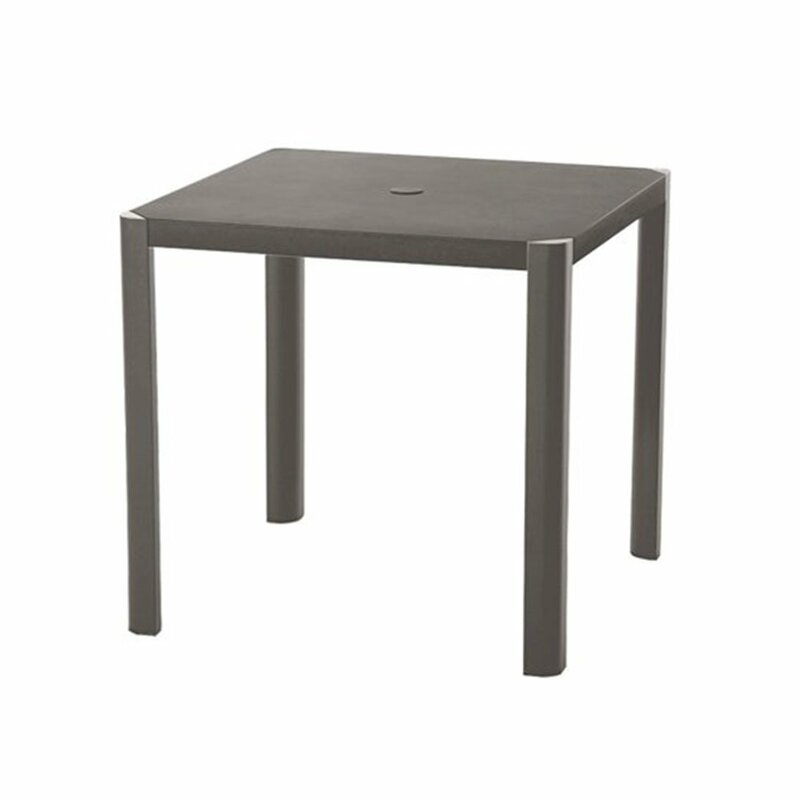 This table features a heavy duty hand-cast aluminum frame designed to withstand wear and tear over the years. Give your patrons a higher degree of comfort with the fitted center hole, able to be used with any standard commercial umbrella such as our Frankford 6.5' Square Fiberglass Market Umbrella. 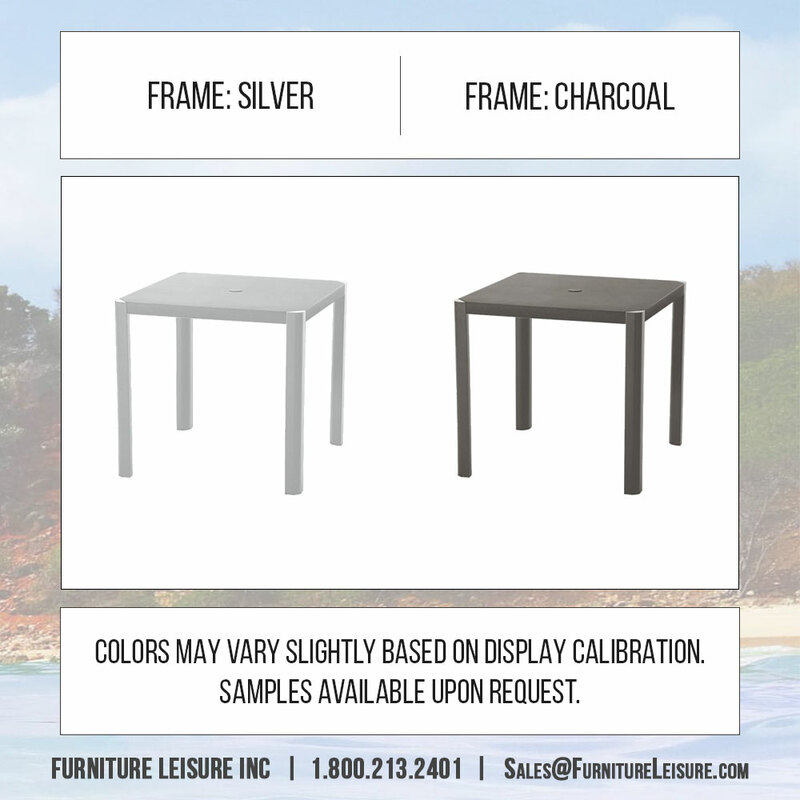 Choose between 2 separate frame color options: A silver or charcoal frame. This includes a limited 5-year commercial warranty and is made in the USA. • 29.5" Height x 35" Diameter - 33 lbs. South Beach Relaxed Sling Dining Chair with Aluminum Frame - 10.5 lbs. Veer Sling Patio Dining Chair with Aluminum Frame - 17 lbs.